I saved lives today–or at least took a simple step that might. I sent emails to my Congressional representatives asking that hospital infection rates be made public. Why do that, you ask? Simple. States that require hospitals to disclose this information have lower infection rates and lower infection rates mean fewer deaths and lower medical costs. In Pennsylvania, for example, infection rates dropped 8% when the state’s new law went into effect. (That’s a big decrease.) Currently, laws vary from state to state and only 27 states have laws. That’s not right. Everybody should have access to information so they can make an informed decision when choosing a hospital. 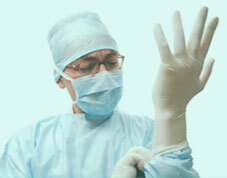 Plus, disclosing that information might just shame hospitals into enforcing practices that result in fewer infections. Shame is a powerful motivator. It’s important hospitals cut infections. According to Consumers Union, nearly 100,000 American lives and up to $45 billion each year can be saved if hospitals take the necessary steps to prevent the spread of deadly infections among their patients. The email I sent to my representatives came from Consumers Union, the organization that publishes Consumer Reports magazine. The request is part of CU’s Safe Patient Project campaign focused on eliminating medical harm, improving FDA oversight of prescription drugs and promoting disclosure laws that give information to consumers about health care safety and quality. This particular campaign is aimed at cutting infections people get in hospitals by publicizing infection rates. Because hospital staffs don’t always take the steps they should to lower the chances of infection, we or our family members could be at risk every time we go into a hospital. Unfortunately, you don’t know if you’re at risk because many hospitals aren’t required to tell you how many people get infections while being treated there. — Use a simple checklist in ICUs for inserting catheters. By the way, routine hand-washing is something done only half the time, according to Consumers Union research. Scary, isn’t it? Emails to Congress don’t have as much impact as a personal letter or phone call. And unfortunately, those don’t have as much impact as the money hospital lobbyists give opposing such measures. However, a lot of legislators are running scared after the recent vote in Massachusetts and they may just listen. After all, who can be opposed to preventing infections in moms, babies and apple pie. Ok, maybe not the pie. So, take a minute and fill out the Consumers Union email form. It’s customizable and you don’t even need to know who your congressional representatives are. The site makes that determination based on your address. By doing so, you might just save a lives today, too.